Most of famous movies and novels that are dealing with remarkable and bold scientific ideas in existence, like plotting the script behind the most intriguing property in the latest string theory called "Holographic principle", lack one main attraction I am always looking in science fiction. The plausibility of the story. To get to the wider audience, science behind is somehow always pushed below the main layer and the result is either too philosophical, ridiculous or unnecessary too complex (like planting humans for energy in 'Matrix' by AIs) or simple love story, like in case of "The Thirteenth Floor" or other simple and proven Good-vs-Bad chases in virtual realities, like those portrayed in Caprica. 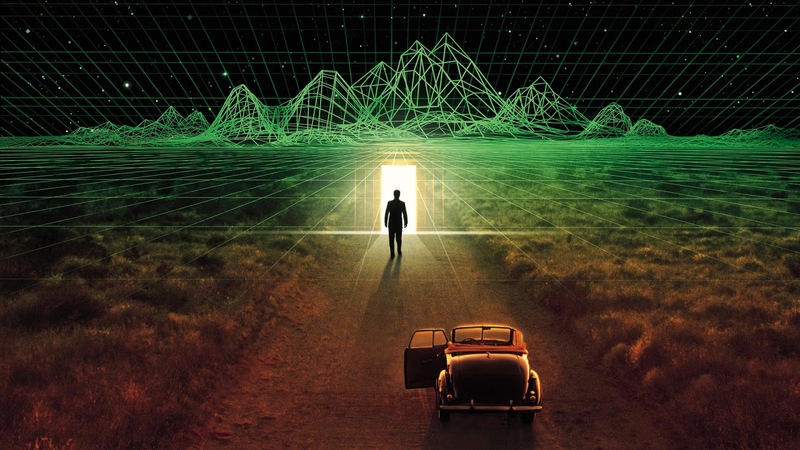 But, if I had to choose one of those Hollywood fictions, maybe you would be surprised if I preferred "The Thirteenth Floor" over all the others I had chance to watch or read. For one simple reason. Like with holographic principle in string theories, producers identified one very true prediction in such realities and embedded in the film and it's poster ad as well - the boundary that represents the very end of the world. In the movie both virtual characters learns about their worlds not being the real deal by discovering their own artificial horizons where all the roads inevitably and ultimately end. Almost like in the middle ages when the Earth was considered to be flat and there was a point where it eventually ended or in the myth with Earth carried by four elephants standing on a turtle floating a never-ending ocean. Like many times before, science fiction behind this might not be too far from the truth at all and if you think that centuries after the flat Earth myth, we finally learned that Earth is spherical and doesn't have an end along with our endless and ever expanding Universe, well, think again. With new findings and several published papers within ongoing string theory research, especially within holographic principle research of black holes event horizon, new and exiting (or disturbing, looking to it from our own perspective) plausible reality might be considered the accurate one. And yes, with new theory, our own universe now has an end in form of one tiny two-dimensional bubble where we all might actually be located in our true form and the universe, as we perceive it, is just a figment of our imagination or to be precise, a hologram made out from some other reality residing in the outer bubble we simply know as Cosmological horizon. Like with the end of the road in the movie, theoretical physicists hit the wall sometimes when they try to describe some astronomical processes. Exactly this was the case when Steven Hawking discovered black hole radiation. Hawking radiation is made out of a pair of virtual particles emerged form vacuum where positive particle manages to escape the event horizon while the negative one gets absorbed by the black hole and in result causing black hole to lose energy and eventually evaporates. In other words, radiation from black hole seems that doesn't originate from the inside of black hole at all. If this is true, then all the information of the matter swallowed by the black hole is lost forever and that in fact contradicts with quantum mechanics, which dictates that nothing, including information, can ever be lost. At the time, this problem, called black hole information paradox, divided leading scientists to the point of simple bet where nobody was absolutely sure what was going on in the mysterious holes. There was even a book, published six years ago, conveniently named “The Black Hole War” by Leonard Susskind committed to this paradox in physics. Of course, paradoxes are only there to indicate that something is wrong, either with fundamentals or with the theories. In this case its either something wrong with quantum mechanics and its math and information can be lost in black holes or this is impossible and some new (or one of existing ones) theory is still waiting to be proven and accepted by mainstream science. You can find many of proposed solutions in below links, from the one where information still, by some unknown process, find the way to leak along with radiation of virtual particles through the one, that I preferred in the past, where black hole in the other end forms a baby universe with all the information transferred to the newly created cosmos to the most hypothetical one in which something happens at the very last moments of black hole evaporation, similar to the supernovae explosion with all the information finally burst out or ... in the more exotic realm ... and what is the newest approach and recently backed with new evidence, that all the information actually got copied in the tiny two-dimensional film of the event horizon and maybe never entered the black hole in the first place by some black hole quantum mechanism. If we use life metaphor, the content of black hole holds only corpses, while information, like a soul left the body in the moment of death, or in this case when it irretrievably fell into singularity. Actually this approach is now widely accepted within string theorists and it is appropriately named "Holographic principle" which all new string theories now include. Scientific explanation for this principle is: "the description of a volume of space can be thought of as encoded on a boundary to the region". String theory proposed by Juan Martín Maldacena, Gerard ’t Hooft and Leonard Susskind with holographic principle included suggests that not only with black holes, but everywhere in the universe, all the information needed to describe a closed system or volume of space with any physical process inside, can be fully encoded within the two-dimensional surface surrounding it. If this is correct, then we can go further and conclude that all the physical processes in the monitoring system are actually happening in the surface instead of its three-dimensional representation and our familiar space-time continuum might be just a (holographic) projection of the two-dimensional entities and events. On the larger scale, this theory allows that entire universe can be understood as the reality of two-dimensional information structure encoded within the cosmological horizon, while the three spacial dimensions we live in is only its representation at macroscopic scales and at low energies described by cosmological holography. 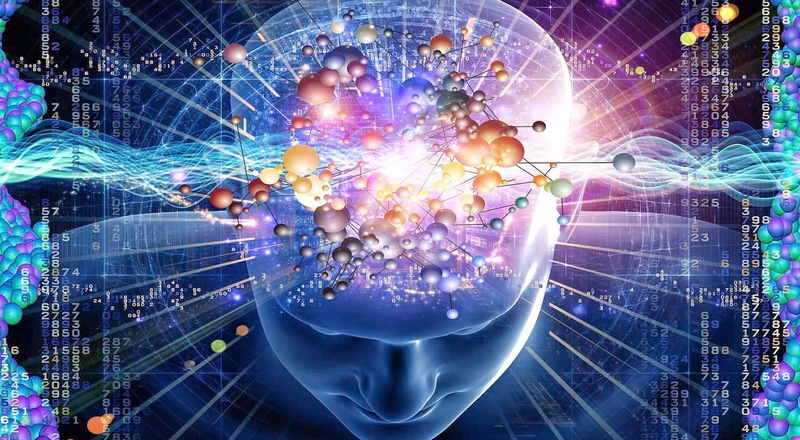 In other words, it might mean that there is a two-dimensional me (and you) at the end of the universe, more than 13 billion light years away, encoded somewhere in the cosmological horizon, that is full description of myself and controlling all my actions (and reactions) over here. Strangely enough, recently more evidence are suggested in scientific research of Yoshifumi Hyakutake of Ibaraki University in Japan and his team. What they did was to perform mathematical calculation of the internal energy of a black hole based on the predictions of string theory. 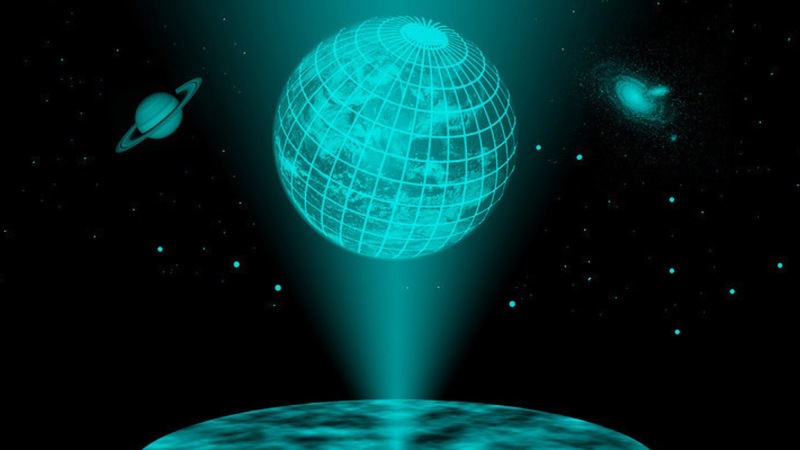 By using proposed holographic principle, they compared the results with calculated internal energy of the corresponding lower-dimensional cosmos with no gravity and found amazing fact that they match completely. They of course, used a model of an hypothetical universe, which is not representation of our own, but still, this is the most valuable "proof" in favor of holographic theory. And not just that, if these calculations are right this practically means that one complex universe with gravity included (that still fails to be understood fully) can be explained and compared by the flat universe with no gravity force whatsoever. Holographic universe is of course highly hypothetical and hard to comprehend but the main principle is solid, calculations are there, math exists and it brings both, solution to information paradox in the black hole physics as well as a way to simplify our future modeling of astronomical systems. With a possibility to exclude gravity out of the equation, holographic principle is already nicknamed with "21st century Rosetta stone" in the world of mathematics, and if proven accurate, we could be a bit closer to the final understanding of how really nature works. But, like any other new breakthrough discovery it could open many more questions on the way and the obvious one is if the main reality is in the information surface, how does it work? How life fits in? Is it also located on the surface and projected like everything else or perhaps living creatures are something else that works independently?